When you think of cruising, you’re likely thinking of warm weather, blue water, and sandy beaches. But cruises travel literally the entire planet, with trips to many more places than just Caribbean beaches. Case in point: Alaskan cruises. Over the years the popularity of these trips has blossomed as word gets out about how amazing they are. Instead of just sailing from port to port, drinking margaritas, and sitting on the beach (not that there is anything wrong with that! ), Alaskan cruises take you to some of the most remote places on Earth. Along the way you can see scenes that are impossible to see any other way, including dramatic landscapes and wildlife. Anecdotally, we have never heard anyone say anything except rave about Alaskan cruises they’ve sailed on. Of course, with that rising popularity there is an entire cruise industry that’s happy to help take you on your trip. These days more than half a dozen major cruise lines offer summer trips, with ships and routes seemingly added every year. Having so many options is both a blessing and a curse. While it provides the opportunity for you to pick a cruise that’s perfect for you, it can also overload you with a lot of choices, making it hard to figure out which cruise you should book. To help you out, we’ve listed our suggestions for cruise lines below based on several categories from affordability to the type of ship your sail. Is money the most important factor for your cruise to Alaska? First things first, be prepared to spend more than you would for a comparable Caribbean cruise. It’s not unusual to find week-long Caribbean cruises for under $500. Similar length cruises to Alaska are often twice as much. If you are interested in the cheapest Alaskan cruises, then your best option is to 1) sail during the “shoulder” season and 2) look for cruises aboard Holland America. The Alaskan cruise season runs from May through September. For cheaper prices look for trips in either of those months. June, July, and August tend to be more expensive. As well, we’ve found that for the 2019 cruise season Holland America offers a number of cruises that are cheaper than their competitors. Specifically, the cruise line offers a number of trips in September for $799 per person — a low rate by Alaskan cruise standards — and the cheapest we found. Your options for cruise lines range from mass market lines like Carnival and Royal Caribbean to more exclusive lines like Princess and Celebrity. If you’re wanting to sail in luxury, your best option is likely Oceania Cruises. Oceania sails the Regatta on trips from Seattle. The Regatta hold just about 700 passengers, with roughly one crewmember for every two passengers. Compare that to some of the large cruise liners that can hold more than 4,000 guests. The cruise lines definitely targets a clientele more interested in luxury. From 1,000 thread count sheets on the beds to cotton robes and slippers to afternoon tea, Oceania caters to higher-end cruisers. Just know that you will pay for that luxury. The cheapest cruises on the line start around $2,000 to sail from Seattle to Alaska. It can sometimes be stressful matching up a cruise line’s schedule with your own vacation days. After all, many people are limited on exactly when and how many days they can take off. Luckily cruise lines sail constantly throughout the summer, but some lines do sail more regularly than others. For the 2019 cruise season, we found 52 cruises each from both Princess Cruise Lines and Holland America departing for Alaska from West Coast ports (Seattle, Los Angeles, and San Francisco). That represented the largest number of cruises by one cruise line and is more than Carnival or Royal Caribbean. In other words, if you have specific dates when you can travel, it’s a good idea to start with Princess or Holland America. That said, Norwegian also sailed more than 40 cruises during the Alaskan season. If you’ve taken many cruises, then you know that the cruise ship you sail can make or break your trip. 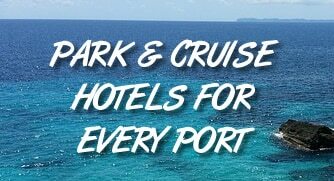 After all, even if you hit several ports, you are still on the ship for the vast majority of your cruise. That’s one reason why many cruisers prefer to sail on the newest ships. These ships are not only larger — offering more space around the ship — but also offer the latest in amenities. If you want to sail upon the latest and greatest ships, then you’ll want to look at either Royal Caribbean or Norwegian Cruise Lines. Royal Caribbean offers cruises aboard the Ovation of the Seas, one of the largest cruise ships in the world. Launched in 2016, the ship measures more than 1,140′ long and can carry more than 4,000 passengers. On board, you’ll find many of Royal Caribbean’s most famous innovations including the Bionic Bar (a robotic bartender), the North Star (a viewing pod that rises above the ship), the Flowrider, and more than a dozen places to eat. Meanwhile, Norwegian offers sailings aboard the Norwegian Bliss, built in 2018. It holds 4,000 passengers as well, and measures more than 1,000′. While the paint is barely dry on the ship, you might have seen the headlines. The Bliss offers a go-kart race track at sea — one of the most unique innovations for kids and adults alike. There are also more than 15 places to grab a bite to eat, including a Jimmy Buffett’s Margaritaville at Sea. As you can see, your best choice for an Alaskan cruise can vary depending on your biggest priority. The main thing to keep in mind? Don’t let the number of options keep you from having a great time. Trips to Alaska are highly popular and no matter which cruise line you choose, you are likely to have a memorable vacation that you won’t soon forget. Do I Need a Passport for an Alaskan Cruise?